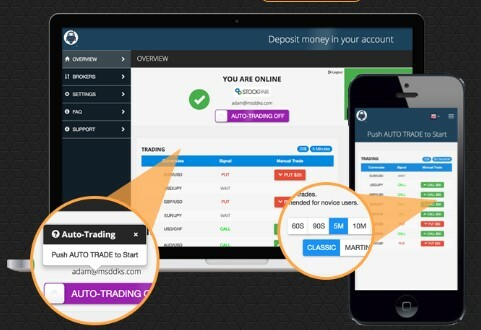 BinaryRobot 365 Evens the Playing Field & Lets You Trade like a Pro! The bonuses section is not applicable to reviews of trading robots as it is the compatible partner brokers that offer bonuses to traders rather than the robot itself. BinaryRobot 365 receives a relatively high score for the quality of its software based on simple usability and doing what it promises to. Customer support is provided via live chat so an instant response can be received in the event of any issues encountered, or email though no telephone line is provided, leading to a middling rating. Finally, the software has a number of customisable features that means individual traders can adapt its use to meet their own personal needs meaning a strong score here. The term “trading robot” sounds a little more dramatic than the reality. We still automatically associate the term ‘robot’ with the mechanical machine variety but in its broader contemporary sense a robot is anything intentionally ‘built’ to execute a complex series of actions automatically. Software robots are the ethereal cousins, built from code rather than physical parts, to their mechanical counterparts and also automatically execute rules-based tasks. The task of a “trading robot” is to automate the task of performing technical analysis on the price chart of an instrument. Technical analysis uses patterns in market price data to identify trends and make predictions. It is based on the assumption that market price movements of a financial instrument are not random but based upon identifiable patterns of mass market psychology which repeat over time. Technical indicators are statistical calculations which look at money flow, trends, volatility and momentum of a financial instrument. Indicators are plotted on price charts and aim to predict future price direction. There are many different technical indicators and each indicator is considered to highlight a different characteristic in the price movement of a financial instrument, such as support and resistance levels, trends, momentum, volume and volatility. These characteristics, or combinations of them, are considered to indicate the likely future price trajectory of the instrument. Trading robots automate the process of applying these indicators to a price chart. Professional traders make use of trading robots with institutional investors usually developing their own proprietary trading robot software, based on their in-house trading systems, and keeping it a closely guarded secret. There are also trading robots that companies have developed to make available to the public either at a charge or with an alternative revenue model such as working with partner brokers that pay a commission when a user opens a trading account. There are now several trading robots that have been specifically developed for the binary options trading market. We have summarised the most important information on several of the most popular binary options trading robots with the aim of saving our readers time if they are researching suitable robot tools to aid them in their trading. In this particular review, we take a look at the most important qualities and characteristics of BinaryRobot 365. BinaryRobot 365 was first introduced to the market in August 2016, a little over a year ago. There is not a great deal of information available on the company behind the software but this is not unusual in the case of companies that provide free-to-use software and have no direct financial relationship with end-users. The company’s revenue model is based on commissions earned from partner brokers whose trading platforms its trading robot is compatible with. 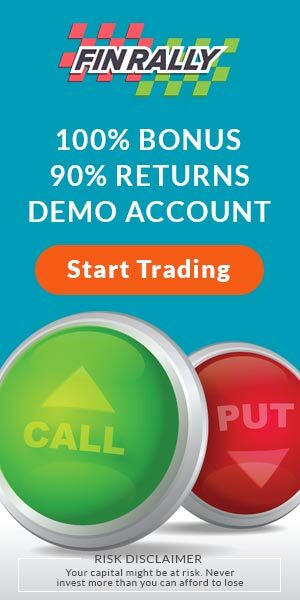 To use the robot, traders must open a trading account with one of these binary options brokers, with the company receiving a fee for each of these accounts. 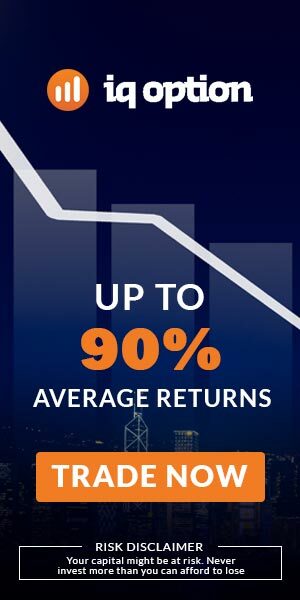 Unlike many companies offering trading robots to the retail market, BinaryRobot 365 does not promise spectacular returns based on fool-proof trading systems. The emphasis is on the trader being in control of how they use the robot and set up the indicators available to them to create their own trading systems, though 3 default systems are provided. 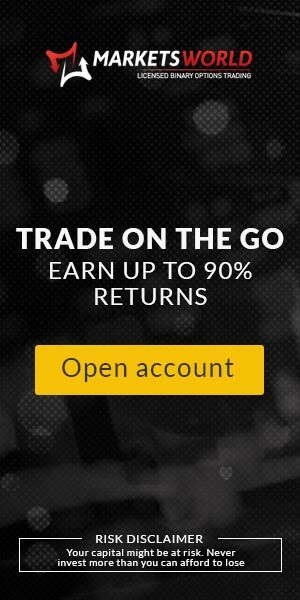 Returns, it is made clear, rely on how each trader uses the tool, which is a refreshingly transparent and realistic approach and speaks well of the company. BinaryRobot 365’s software is nicely designed and extremely easy to use. Traders register an account on the company’s website and then open and fund an account with at least one of the partner brokers, which requires at least the minimum deposit, which start from $200, up to $350. The robot has an API connection to the broker’s trading platform which allows it to receive price quotes and other information the robot requires to work. Users must then choose their settings. The first big choice a trader must make is whether to use the robot to trade automatically on their behalf or simply to receive signals that they must then decide to act on or not. Automated trades or signals will be based on either one of the default trading systems if selected, or a custom trading system the user sets up using their own combination of the six technical indicators the robot works with. Other settings include the value of binary options trades, which will depend up the trader’s personal budget and strategy. While BinaryRobot 365 does not yet come in an app form specifically built for use on mobile devices such as smartphones and tablets, the website has been designed to be mobile responsive and can be used conveniently in smaller-screen formats. BinaryRobot 365 lets users create trading systems from any combination of the 6 technical indicators it is programmed to automate. Trend, Williams, MACD, RSI, CCI and STOCH are the 6 most commonly used indicators and a wide variety of common and customised trading systems can be created from them. Traders then choose which tradable binary options instruments they wish to apply which systems to and will start to receive signals when the chosen system indicates a predicted price direction for the instrument. Users are not charged directly to use BinaryRobot 365. The robot software is nominally free to use but it does have to be used in conjunction with one of a selection of binary options brokers. The company behind the trading robot will receive a fee from the broker when one of its users opens a trading account. BinaryRobot 365 does not directly provide its users with any bonus offers. Bonuses which users may be eligible for are those given by the binary options broker(s) the robot user opens a trading account with. Different brokers run different bonus schemes but typical offers include cash top-ups on deposit values, returning the investment stake, or a part of it, on losing trades and loyalty-scheme points based on trading turnover that can be converted into gifts or other trading-related perks such as educational resources. It should be pointed out, however, that many bonuses offered by brokers come with strings attached, most commonly restricting withdrawals until trading turnover has reached a set multiple of the value of the bonus, or the deposit against which the bonus was awarded. These conditions can be quite restrictive and have the potential to leave a bad taste in the mouth if a trader accepts a bonus not fully aware of the terms and conditions it comes with. Many traders prefer to decline bonuses that come with trading turnover restrictions. Also, many of BinaryRobot 365’s partner brokers are CySEC-regulated, with the terms of Cyprus’s government financial regulator not allowing bonuses that restrict withdrawals or can be considered as enticing retail traders to enter into risk-based investments. These brokers either don’t offer any bonuses or have structured them in way compliant with what CySEC-regulation permits. Our broker reviews section covers the bonus programmes of a considerable number of binary options brokers, including many of those that are compatible with BinaryRobot 365, and can be referred to before a trader makes a choice of broker to open an account with. Details around deposits and withdrawals are again something that the broker a trading account is held with dictates and not directly connected to BinaryRobot 365. Different brokers have varying minimum deposit and withdrawal levels, offer different payment processing options, such as bank transfer, debit and credit cards, e-payment processors and sometimes even via cryptocurrency wallets. Charges applied to withdrawals, and processing times, using different payment processing choices can also vary significantly from broker to broker and is a characteristic the trading robot’s users should also research before opening an account. BinaryRobot 365’s customer support facility is more extensive than is the case with many of the company’s competitors. 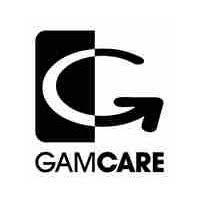 As well as a customer service email, live chat is also available 24/7, with agents on hand to help with enquiries. We’ve already mentioned that BinaryRobot 365’s users can choose to set the robot to automatically make binary options trades on their behalf, within the parameters they have set. Other additional features include a stop-loss facility to limit potential daily losses during losing streaks, maintaining trading account capital at an optimal level. BinaryRobot 365 is a useful tool for binary options traders and can help make their trading more efficient. It is a nicely put together piece of software. As long as users do not expect miracles, and understand that indicators, while central to technical analysis, are not the whole story and should be used together with price driven analysis for the most accurate results, the trading robot can add value. Used to help inform trading decisions and not to make them for the trader, robots add value and BinaryRobot 365 is a good example of a binary options-specific trading robot. How much does BinaryRobot365 cost? BinaryRobot 365 is free to use but traders can only use it with one of 8 partner brokers the robot’s software is compatible with. These brokers pay the company a fee when the robot’s users open a trading account with them. 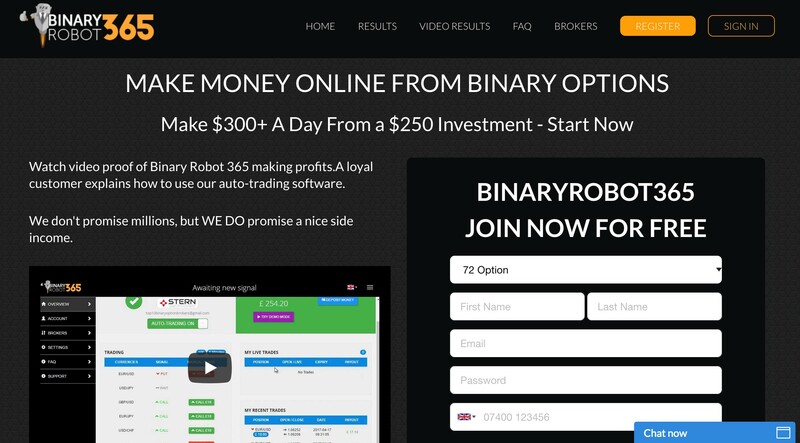 Can I use BinaryRobot 365 with my existing binary options broker? No, unless your existing broker is one of BinaryRobot 365’s partner brokers. The software requires an API feed with the broker’s trading platform to be able to work so cannot be used with any brokers. Yes, in the sense that it is simply a piece of trading robot software. All BinaryRobot 365 does is automate the application of technical indicators onto an instrument’s price chart. The user still has full personal responsibility and autonomy on whether or not to execute trades. The software works according to rules which, within the pre-programmed set of 6 indicators the user sets themselves.